Are you an enthusiastic and passionate 2D artist ready to join the studio that bought you Nickelodeon’s Rise of the Teenage Mutant Ninja Turtles? Flying Bark are looking to use their unique style to breathe new life into a world-renown hot property and are growing to accommodate this brand-new show. If you love action-packed animation and draw inspiration from artists and styles the world over then we are looking for you! Job Categories: 2D Animation. Job Types: Full-Time. 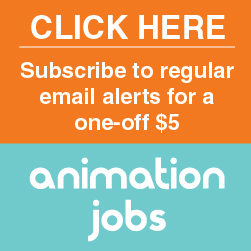 Job Tags: #2D, #Toonboom #Harmony #Sydneyanimation #RoTMNT, and 2DAnimation.